Whether you’re a young family buying your first home, or you’re thinking of upgrading to your dream home, or it’s time to “retire” to a more peaceful quiet life, EastLake and all its separate communities seem to be the ideal place to live. They are Eastlake Hills, Eastlake Shores, Eastlake Greens, Eastlake Trails, Eastlake Woods and Eastlake Vistas. It all began in 1986 with a vision of building a community just south of San Diego in the City of Chula Vista that had everything a family would need or want. And after all these years, it’s still growing and still feels like new. 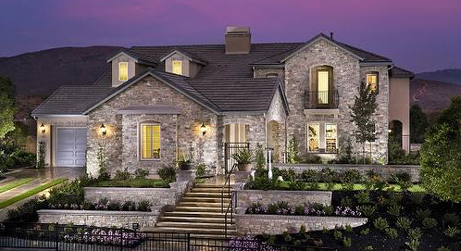 Eastlake is one of the top rated Master Planned Communities in all of San Diego County. Take EastLake Vistas, for instance. This was one of the last phases in the Master Planned Community. This commuinity has it all - parks, walking and hiking trails, schools, shopping, views of the hills, a business center, clubhouse, mutiliple pools for all to enjoy and restaurants. It even has a cutting-edge, state- of-the-art-Mall called Otay Town Center Mall, conveniently located just off the 125 Expressway. EastLake Vistas is far enough from Downtown San Diego to feel separate from the city, yet close enough to be convenient. It’s just minutes from the 805 Freeway, Interstate 5 as well as the 125 Toll Road. EastLake is not far from the Gaslamp District, the San Diego International Airport, or any of the beautiful Pacific Ocean beaches. If you’re a resident of EastLake Vistas, you’ll be able to take advantage and have hours of enjoyment at the Creekside Park. This three-acre private homeowner park is located adjacent to the Salt Creek corridor. It features a 5,000 square foot swimming pool, a 2,000 square foot attached children’s pool, along with a spa and restroom facilities. It also has an outdoor patio which is utilized for entertaining and barbequing. And if fishing is your sport, Creekside Park has a two-acre pond stocked with fish. EastLake Vistas, along with all the communities that comprise EastLake, is a culmination of years and years of development and design. This country-like living has been ideal for all residents to enjoy.